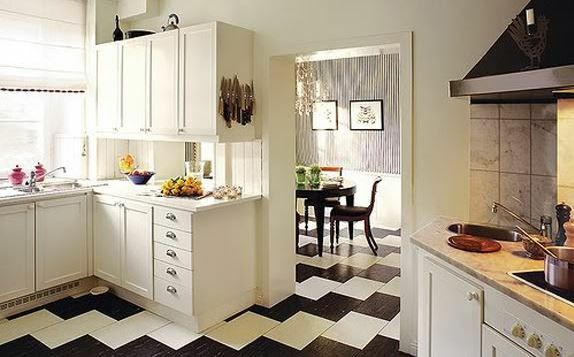 Floor in the kitchen can be of different materials like cement, parquet, linoleum, tiles etc. 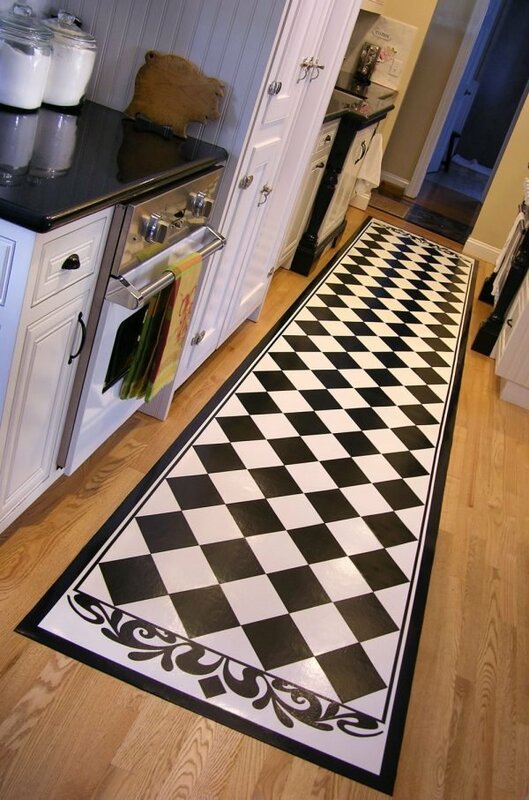 If you wish to refresh your kitchen, you can do that by simply painting the floor. 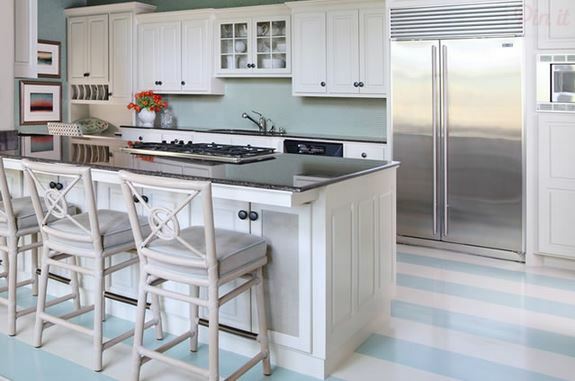 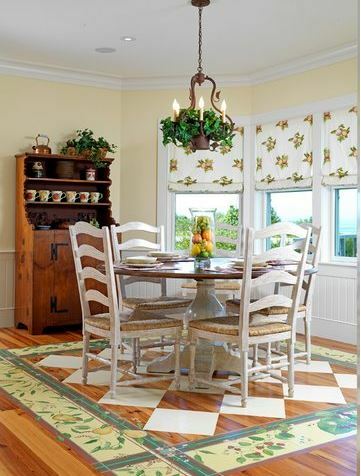 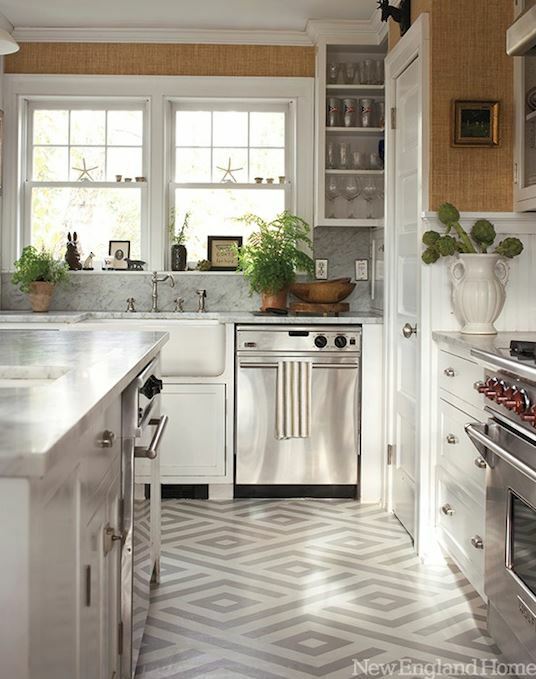 Painted kitchen floors are practical, functional and easy to maintain. 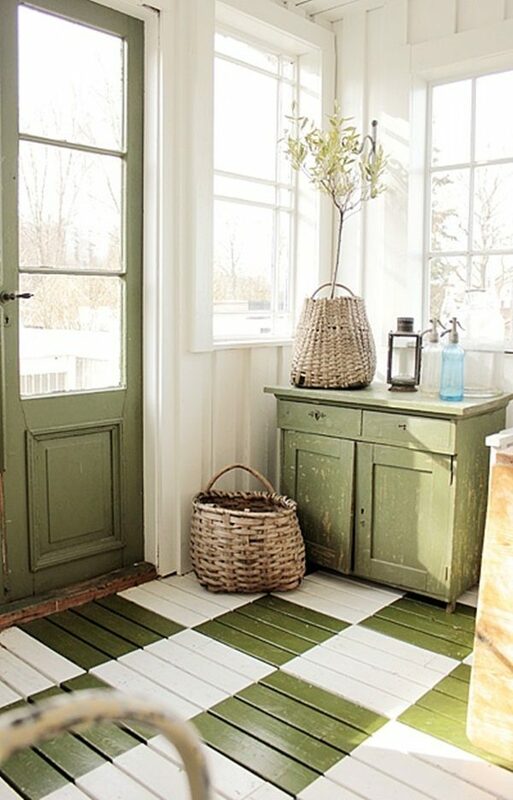 You can choose one or a combination of few colors . 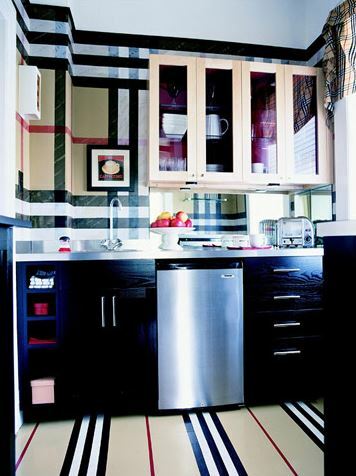 For classic style kitchen suit neutral colors or darker shades that will be a contrast to the brighter ceiling. 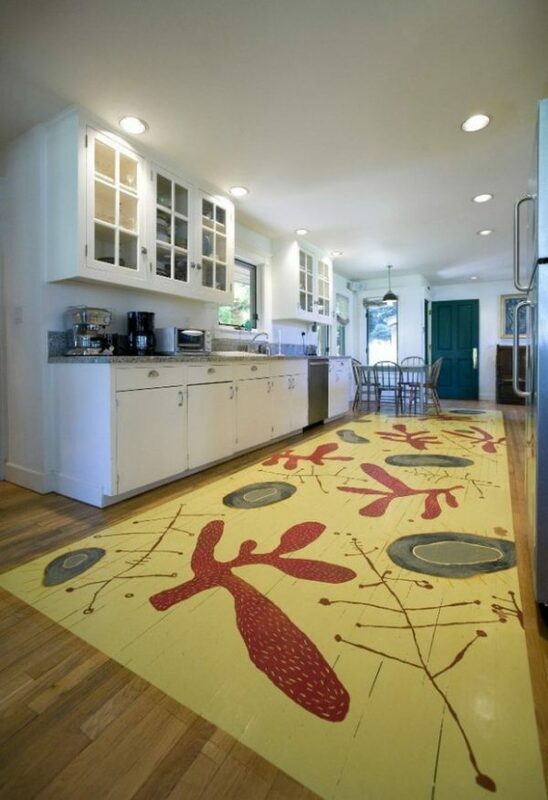 On the floor can be added fruit or floral motifs in the form of stickers. 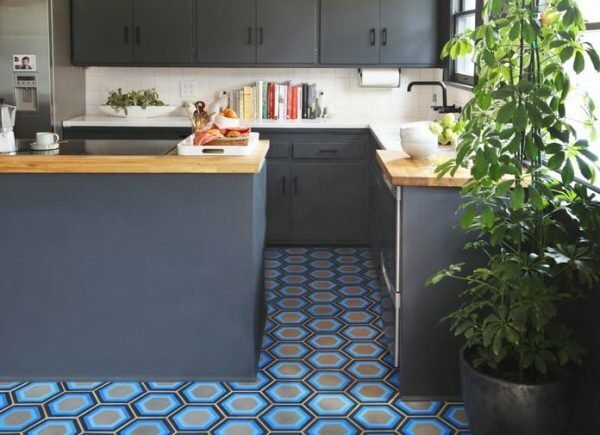 Also you can create unusual patterns, graphic prints in different colors which will match with the rest of the interior in the kitchen, example painted rugs. 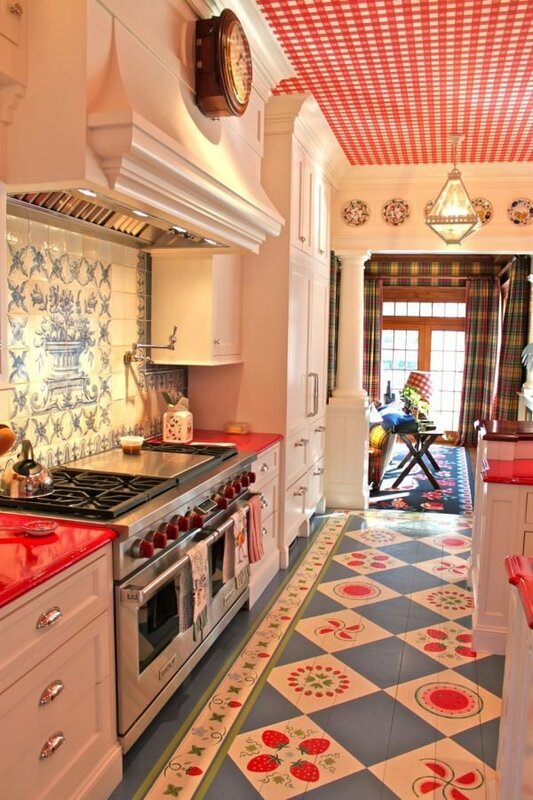 In modern style kitchens use pure colors like yellow, red, green, blue. 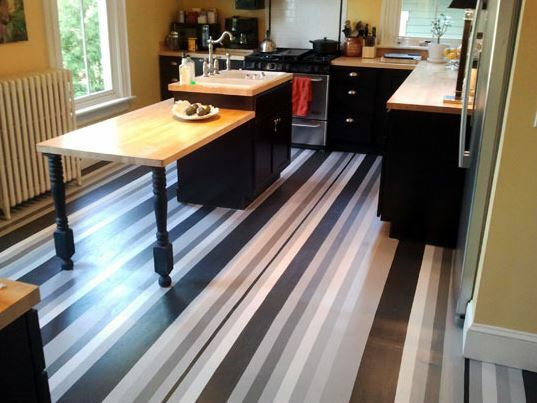 Other advantage is that the painting of the kitchen floor will hide imperfections. 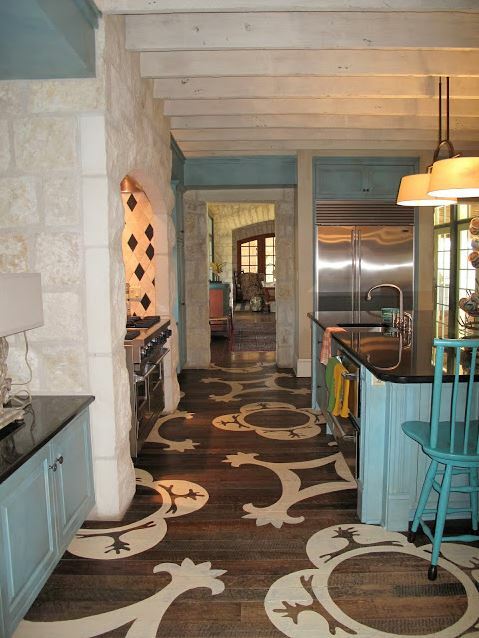 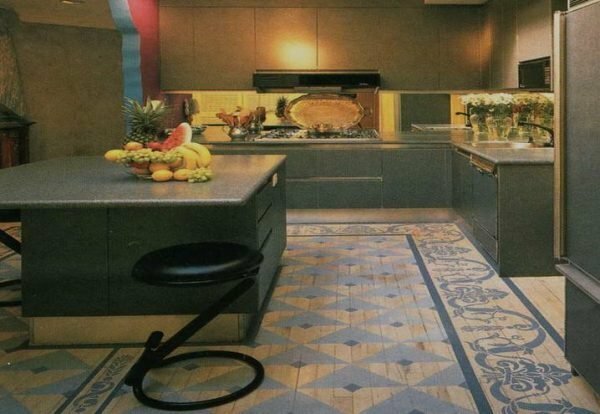 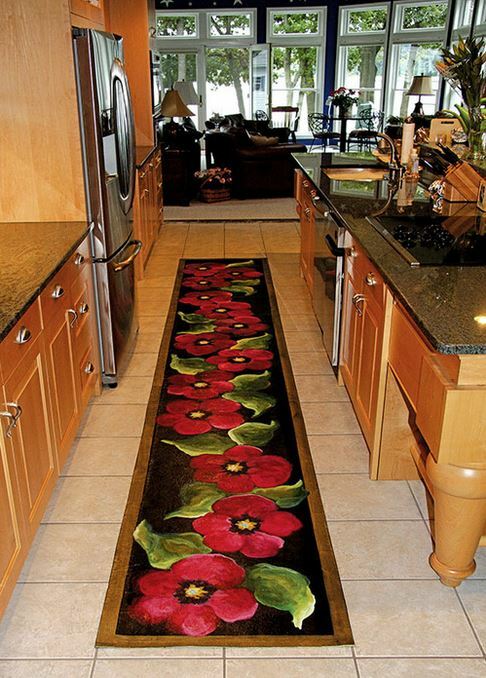 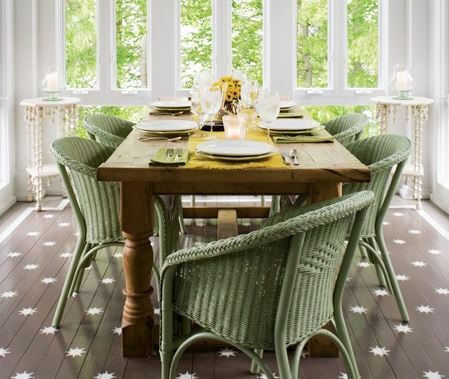 If you need flooring ideas for kitchen here are some interesting painted kitchen floors.